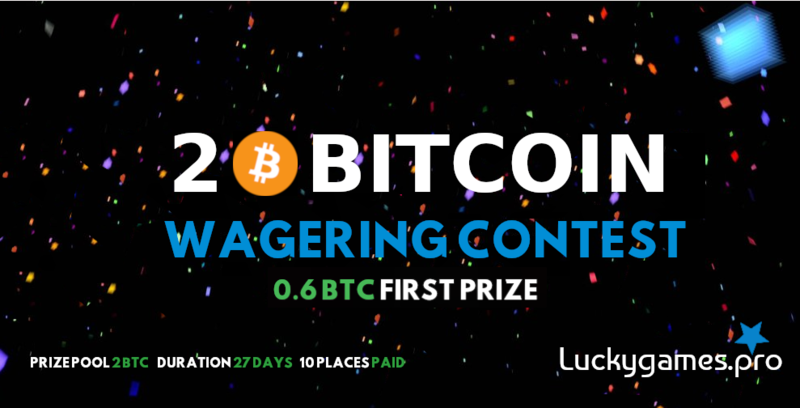 Luckygames.pro - provably fair ION online casino - Faucet|Jackpot|Contests and more! 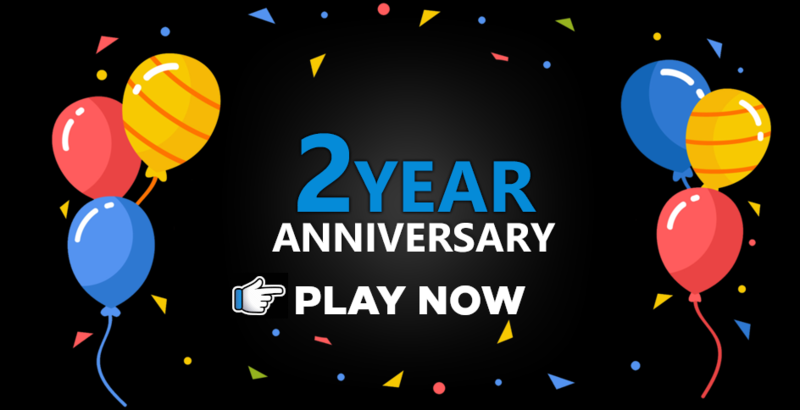 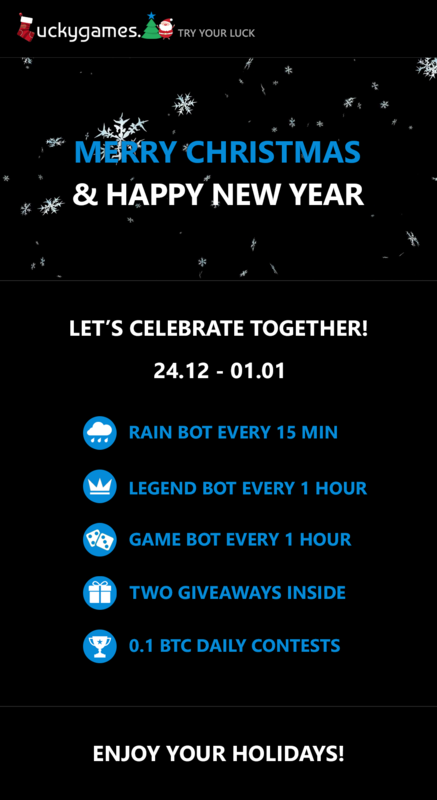 Don't miss this chance to win big with** Luckygames! 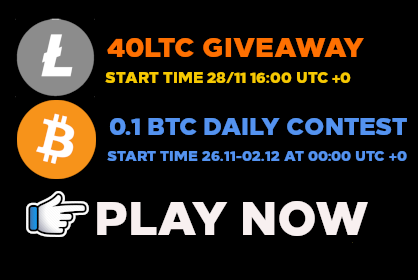 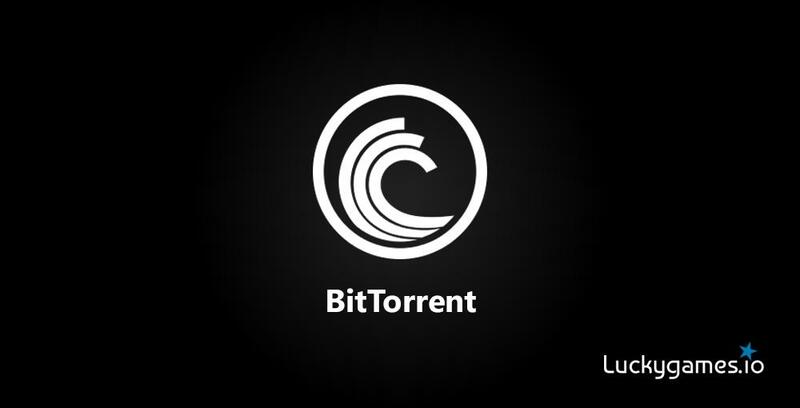 First game giveaway with 40LTC prize pool (2LTC per winner) is scheduled at 26.11.2018 - Start time 22:00 UTC +0 (10:00 PM GMT +0). The 60,000,000,000th Bet Giveaway has been finished! 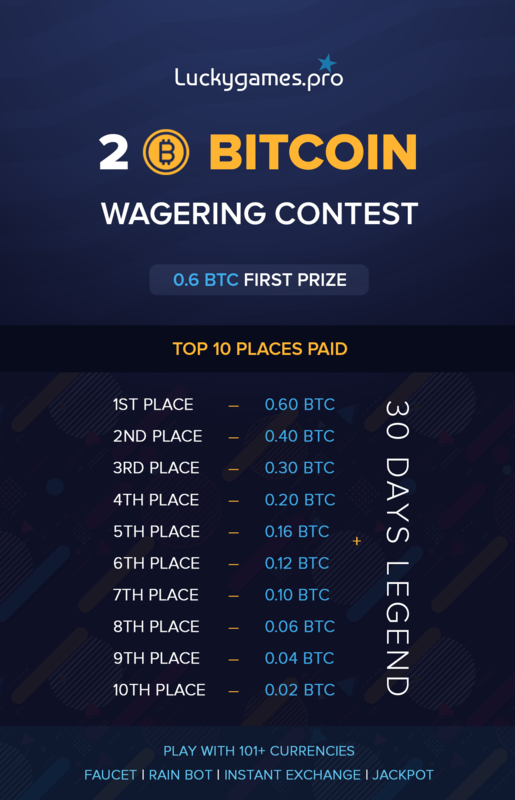 Congratulations to our 173 winners! 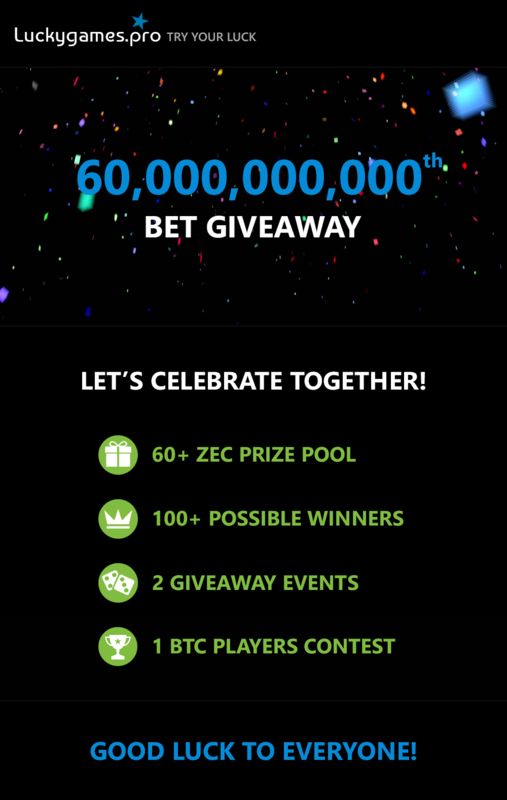 Good job guys 👍 Today we have given away 82.2 ZEC (1.32 BTC) and 822 days VIP.